Overcome suffering and learn to enjoy life. 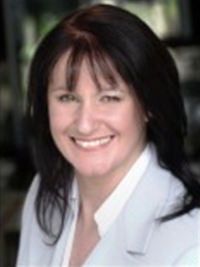 Maureen Fearon is a NLP Master Practitioner, EFT Trainer, Inner Re-Patterning Trainer, Emotional Specialist, Bereavement Expert, Corporate Trainer, Stress Consultant, MBTI Personality Profiler. Internationally renowned as a mentor, a coach, a relationship fixer, a broadcaster, a “one off” comedian, motivational speaker and is known for her work as a Love Guru! Simply an expert in human behaviour and emotions, continually motivated by the positive transformations of her clients. It began with investing in NLP training. “I was told I needed the certificate to be a coach. Expecting it to be boring and tedious, I couldn’t wait for it to start and then be over! Instead it was life changing. I learnt about the real me, the changes I could make to have dreams come true. Sounds dramatic but that’s how it was. Then EFT training provided me with a powerful tool”. As an emotional specialist, she was the first in the world to be a certified trainer in the dynamic “Inner Re-Patterning” process which she uses with individuals especially with sensitive issues such as loss, abuse and trauma. Maureen trains people to be emotional specialists too. She is noted for her enthusiasm and making complex psychology simple and easy to understand. Maureen regularly shares her expertise with BBC radio audiences nationally and on the World Service, covering a variety of topics from loss, dating, confidence, workplace challenges, mental health, to relationship issues. As an entertaining conference speaker, she leaves audiences with positive lasting impressions and profound messages which are life changing for many.